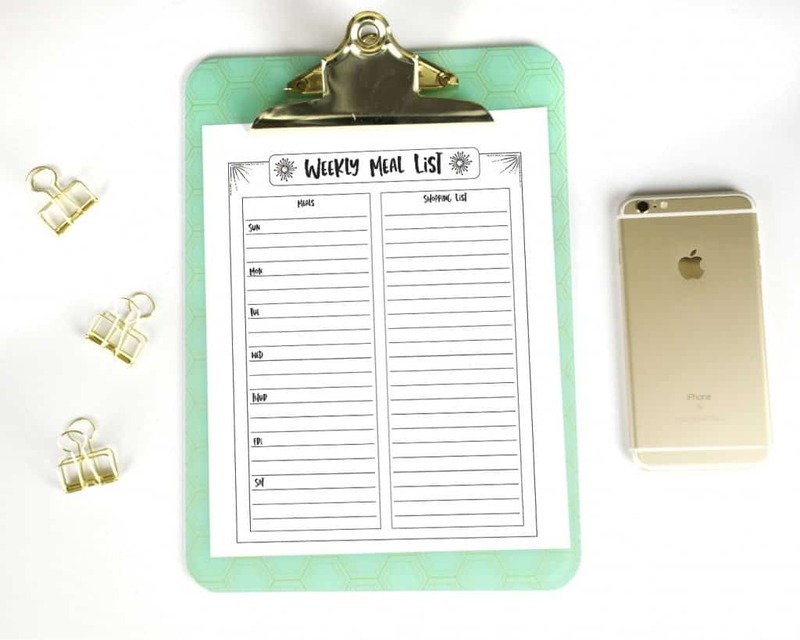 Home » Freebies and Printables » Free Printable Meal Planner – Get It Today!! I’m a list maker. That’s just who I am. I never even considered that some people aren’t. One day I was talking to a friend and must have mentioned something about making a grocery list. She looked at me blankly and replied that she never made a list. My mind was blown! How would you remember everything? Then I learned that she didn’t meal plan either. I’ve been meal planning for so long that is never occurred to me that not everyone is a meal planner. I would be lost without lists. Nothing would get done. And without a grocery list, I would not have the ingredients for the meals I wanted to make. Dinner time would be a nightmare! I hate cooking as it is, so I don’t want to think about what to make at the end of the week. If you’re like me and need a meal planner/ grocery list, I’ve got you covered! 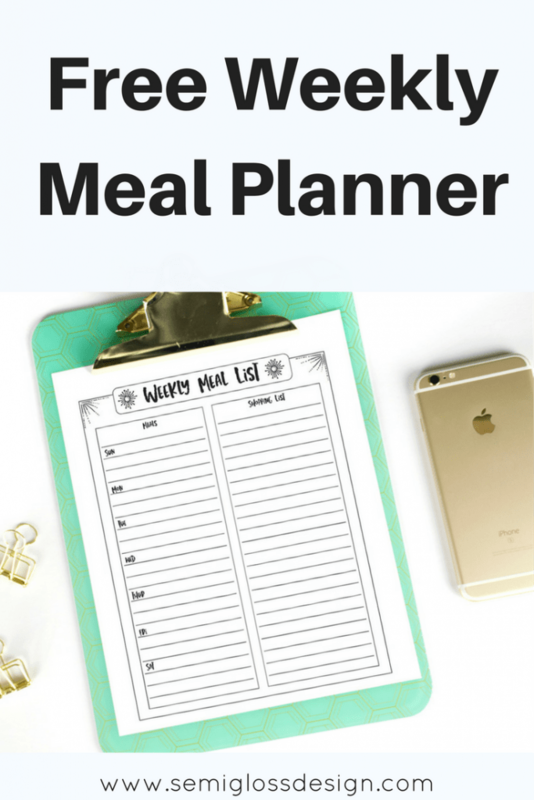 Today, I’m offering a free printable meal planner. The left column lists the meals by day (a line for each meal) and the right column has room for your grocery list. This is much nicer than my normal scribbled notebook paper. Print it for your bullet journal, planner, or even to just lose in the bottom of your purse, like I do.